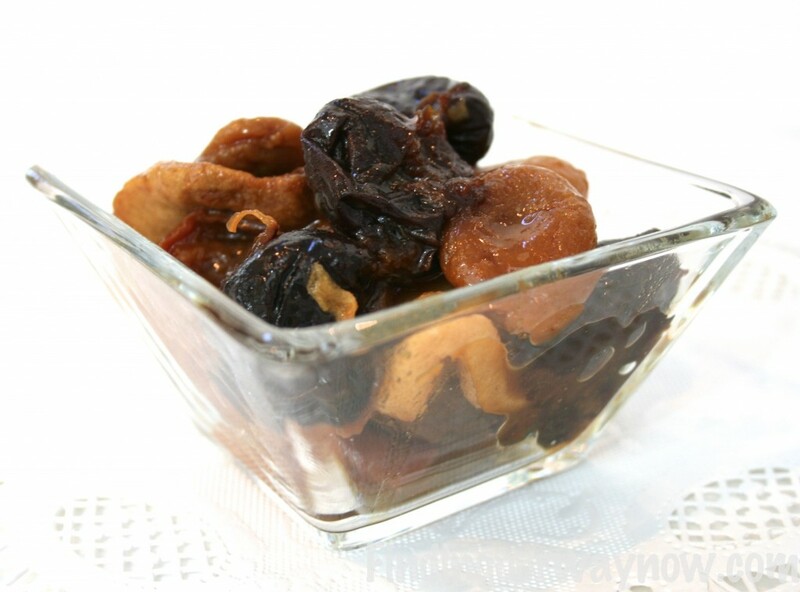 It always a big help to have a great compote on hand, such as this Easy Dried Fruits Compote, when the you need a bit of something different, especially when un expected company shows up. This is an amazingly easy and delicious recipe made with dried fruit. I found this simple and fun Easy Dried Fruits Compote recipe in the How To Cook Everything: The Basics by Mark Bittman. It’s great warmed or cold served all by itself or with a nice sweeten crème fraîche. Of course, it makes a very nice hostess gift from our kitchen. Mix all ingredients together; add enough water to cover the fruit by an inch or two. Cover and refrigerate, stirring every few hours and serve when the fruit is tender, at least 4 hours. If you’re ready to serve the fruit, then drain, cover, and refrigerate the remainder to use at a later time. 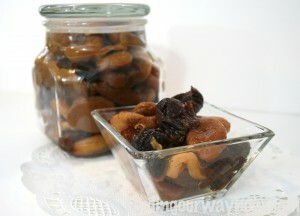 Notes: If the dried fruit is very dry, it may take a bit longer to gain the proper tenderness. I’ll make this Easy Dried Fruits Compote ahead of time and serve it as a lighter dessert or as a side dish at breakfast. It really works well at any time of year for any occasion or on any type of holiday. This Easy Dried Fruits Compote makes for a great gift from your kitchen packaged in a pretty jar with a bit of raffia and a tag. Enjoy. 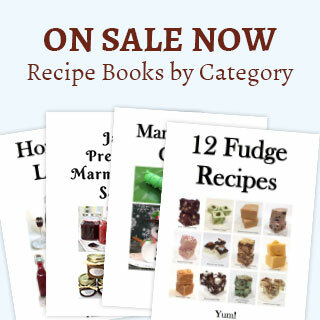 If you liked this Easy Dried Fruits Compote, then you might want to check some of my other recipes such as these Ambrosia Fruit Salad, Fruit and Nut Scones and Artichoke and Bell Pepper Salad. Enjoy.